Modern Art – do you dig it? Much has been written about modern art. Many people seem not to really like it, claiming that they don’t understand it, or that it’s ugly. Now I know one’s taste in art is a very personal thing. And people can become very defensive about their tastes – in art and everything else they can have tastes about! This article is just to say, hey, what we like is often about what we know, and knowing a bit more about modern art might just open our eyes and our minds to some great experiences – tactile, visual and emotional. Modern art has a long history now, and over that history looms the larger-than-life figure of the man from Spain with those piercing, almost hypnotic eyes, Pablo Diego José Francisco de Paula Juan Nepomuceno María de los Remedios Cipriano de la Santísima Trinidad Martyr Patricio Clito Ruíz y Picasso, known to the world simply as Picasso. To me Picasso is the Beethoven of modern art. I know, I know – wrong era, wrong style, etc., etc. Let me try to explain why I say this. Beethoven was really sui generis , one of a kind, although in a way all composed music since Beethoven, at least until the start of the 20th Century, is judged on his terms and against his towering work. In a similar way Picasso, for all his many faults and his wide range of styles, remains the gold standard for modern art. Beethoven did not start all of the musical styles which followed him, neither did Picasso start all the artistic styles which followed him, but without these two great artists the history of musical and artistic expression would have been very different. In fact it is impossible to imagine music, at least that genre which is mistakenly called “classical” for want of a better shorthand term, without the brooding figure of Beethoven. Likewise modern art would not have been what it was without the sometimes puckish, sometimes brooding, always fascinating figure of Picasso. Another reason why Picasso is like Beethoven for me is that everything he did, however trivial or unimportant it might seem, had the quality of rightness, as if the way Picasso did it was the only way it could be done. 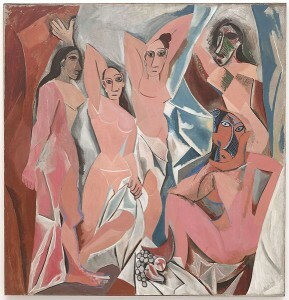 Picasso created some 22 000 works (more than 16 500 of these have been catalogued and are viewable on the magnificent On-Line Picasso Project, http://picasso.csdl.tamu.edu/picasso/), some of which were sublime, others pretty tacky. They range from delicate, almost wistful drawings of birds and Don Quixote to what is arguably the most powerful anti-war statement in modern art, possibly in all art: the massive mural Guernica, expressing Picasso’s horror at the bombing of the little Spanish town by planes of the German Condor Legion under the command of Lt. Colonel Wolfram von Richthofen, cousin of the infamous “Red Baron” of the First World War. 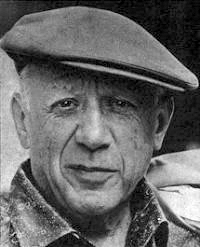 Picasso was born in Malaga in October 1881 and died in France in 1973. From his earliest days he was a great draftsman, following initially in the footsteps of his painter father Don Jose, who taught at the local School of Fine Arts and Crafts. By the time Picasso was 13, his father acknowledged young Pablo’s superiority as an artist and handed over to his son all his brushes, paints and palette. 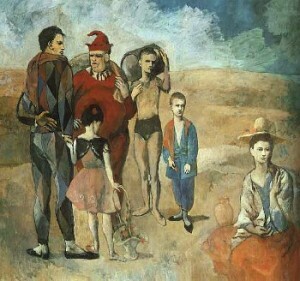 In an interview published in The Atlantic Monthly in 1957, the journalist Carlton Lake responded to Picasso’s saying that “I don’t paint pictures in the hope that people will understand them,” by asking the artist if he thought critics and others who tried to explain art were performing a useless function. I guess I’m trying to build a bridge like that, because Picasso is so important to me and I would like others to understand him and appreciate him. What I think Picasso meant by building a bridge is for the critic or whoever, not to try to explain Picasso, but maybe to explain what Picasso means to them. Indeed it is presumptuous for one who is not even an artist to try to explain a great artist’s work. So I’m going to try to be a poet and share my feelings about the great man, feelings that have meant much to me over the years. 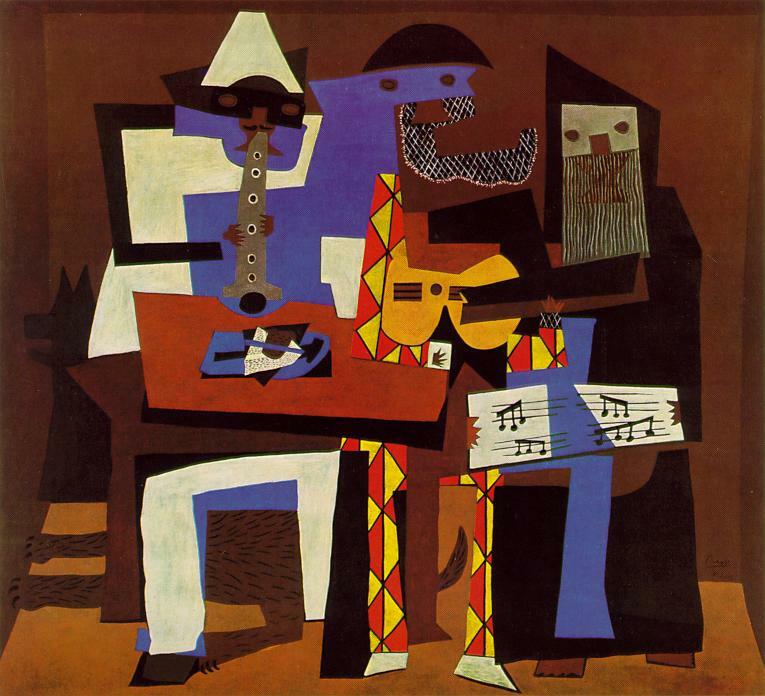 One of the first of his paintings which grabbed my attention was one of the two famous “Three Musicians”, a cubist painting from the so-called “synthetic cubism” style, painted 1921. I saw this work (in reproduction only, unfortunately!) in a small book about Picasso which my brother Chris brought home one university vac. It grabbed me because I reacted immediately to the mysterious feeling of the painting. What was that strange figure to the right of the painting? He seemed to overshadow the other two and yet I couldn’t decide whether or not I liked him. There was something ominous, something brooding about him, and yet the colours and composition were pleasing, even light-hearted. What was going on here? I loved especially the way the pages of music looked, the blue and white background with the black notes. The next painting that I loved was the Saltimbanques (Full title: La famille de saltimbanques (Les bateleurs))painted in 1905. This group of circus people just moved me – it had to do with the colouration, those pale muddy colours with the contrasting reds and blues, the static feel of the image which made it feel to me somehow sad, nostalgic for something I didn’t know. They just looked and felt right to me, as though they just should be like that. And yet the painting also had a feeling of mystery for me – what was the story behind this picture, who were these people and what held them together, apart from the frame of the picture? Two things in particular fascinated me – the little girl with her basket and the almost transparent classical-looking jar at the right knee of the seated woman. And why was she seated when all the other figures in the painting are standing? Then I started reading about Picasso living in the squalid tenement known as Le Bateau-Lavoir (the laundry-boat). And so many other artists as well, whose names I was coming to know through reading about Picasso. I became aware also of the periods of Picasso’s art – the Blue, Rose, Cubist and neo-classical, to mention some of the labels that have been applied to his art. Picasso used a sometimes bewildering variety of styles throughout his career, now figurative showing a clarity of line which has been compared with that fine master of line Ingres, to a total abstraction or what has been called by some a deformation. The great Picasso expert and critic Roland Penrose (in The Sculpture of Picasso, 1967) wrote that Picasso “has always been willing to probe our complacency about the identity of an object by showing that in certain circumstances it can mean something surprisingly different from the accepted interpretation.” So that ordinary, everyday objects can take on a wholly different aspect and meaning. Picasso used a bicycle saddle and handlebars to create a bull’s head (Tête de taureau) in 1942/3, making it impossible for me ever since to see either the bicycle components or a real bull’s head without seeing the other. Critic Mary Karr points out how this poem expressed the way technological advances, particularly in warfare as seen in the First World War, “heaped lifestyle changes on the Western world more radical, perhaps, than written history ever recorded” (in The Wasteland and Other Writings, 2002). Picasso, like Eliot, Beethoven and even Bosch, was a person very much of his times and so his art accurately reflects those times, and his struggles to come to terms with them. As anyone with any sensitivity must struggle with what is going on around them. What makes an artist great, whether Beethoven or Eliot or Bosch, is the authenticity that they achieve in responding to the world around them, how honest and vulnerable they are. And Picasso is totally himself, can never be other than he is. And this shows in every line he draws, every spot of colour he applies, every bronze or clay shape he creates. Which is not to say that he doesn’t at times play with his audience. Obviously he has a sense of humour which comes through – who would have thought of a toy car as the head of a baboon (La guenon et son petit)? And yet how right that is now that Picasso has done it! Moffat, Charles (n.d.): Pablo Picasso from http://www.arthistoryarchive.com/arthistory/cubism/Pablo-Picasso.html retrieved on 30 December 2008. 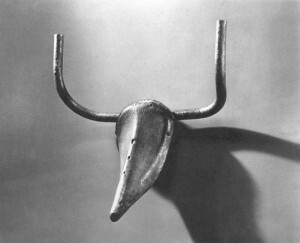 Penrose, Roland (1967): The Sculpture of Picasso. New York: The Museum of Modern Art. The text on this page, unless otherwise indicated, is by Tony McGregor who hereby asserts his copyright on the material. Should you wish to use any of the text feel free to do so with proper attribution and, if possible, a link back to this page. Thank you. 50 Years on and Kind of Blue is still a winner!